That Madonna is a cunning wee lass. Changes her appearance like a minx, and it is on that note Like A Version takes a gander at other pop artists, re-imagining major pop icons in equally grandiose ways. 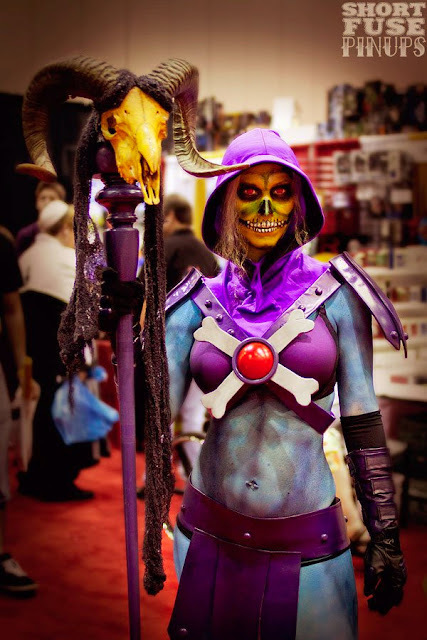 This time round, it's the turn of Cosplayer Freddie Nova, spotted attending MegaCon 2012, that seemingly decided not to chose between Evil-Lyn and Skeletor, but to become an awesome combination of both. Behold! While ironically bonier models than Skeletor are a regular sight on (insert your country here)'s Next Top Model, this demonic lassie has just the right kind of build to give Teela a run for her money. What do you think? To see more photography snapped by the all girl crew at Short Fuse PinUps click the jump. that is way cool now i'm dying to know what she looks like under that make up. and a getting a peak under the costume it's self would be nice to. Dan where the hell did you find this? Hey Dave! Where? One of my mates spends more time on the internet searching for new MOTU news and the secrets of Eternia then is probably healthy for a grown man lol. Dale saw this on the photographer's Facebook and shared the awesomeness with me. The rest is history my friend. The link to the photography company's website is in the post, but b warned, their photography style is more classy burlesque than sci-fi. 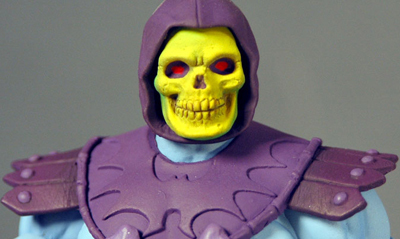 Can't beat Skeletor's gang for cool 80's imagery. And this is just plain cool. I'll say it again, we've all got to meet up at a Con one of these years. That would be pretty cool Craig, but god bless the internet for being a place to share your interests with folks on a global scale. How awesome is that. So this con? US or OZ? Probably should be fair and do one of each.